U-Store Self Storage is the premier storage company in Richland, MI. 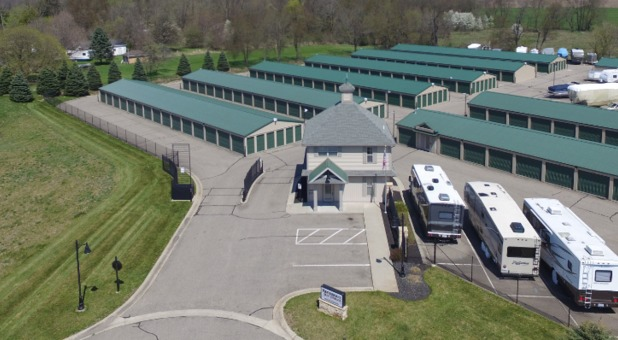 We serve surrounding communities such as Comstock, Parchment, Kalamazoo, and Hickory Corners with superior storage options. We have a huge variety of units and amenities. Whether you’re a student, business, boater, wine collector, or just a homeowner in need of some extra space, we have the storage space for you! Call for specials, add $9.00 protection plan charge to web rate. Padlocks, boxes, tape, mattress covers, bubble wrap and more! Rent a storage unit at your convenience! Tenants have the option of adding 24-hour access to their units for an additional $10/Month. Our climate-controlled units are perfect for businesses as well as wine collectors, and our fax/copy services and conference room mean you can perform all your basic office functions here at our storage facility. If you’re headed out to Gull or Campbell Lake, store your boat or RV in one of our convenient outdoor spaces. We are located in a safe community surrounded by other businesses. Our well-lit facility is gated and monitored by surveillance cameras, so you can be sure of the security of your belongings. We are locally owned and operated, and our primary goal is to offer the best customer service in the Kalamazoo area. Stop by or call today to find the storage unit that’s right for you!